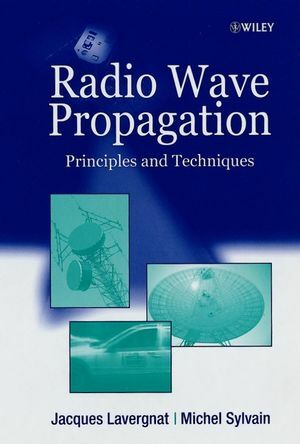 Radio Wave Propagation provides an introduction to the study of the free propagation of electromagnetic waves. A good understanding of the propagation mechanisms is essential for the communications engineer and this text offers the necessary background knowledge. It emphasises the methods of establishing propagation models and covers the three basic elements: the nature of effective modelling, electromagnetism effects, and propagation devices. · Details the main aspects of propagation, measurements and applications. Essential reading for communications engineers, electronic engineers and undergraduate and postgraduate students of telecommunications, electronic engineering and applied physics. Jacques Lavergnat and Michael Sylvain are the authors of Radiowave Propagation, published by Wiley. The How and Why of Propagation.